Bookstore therapy is usually want leads me to pick up a book different from my norm. On this particular trip of bookstore therapy, B&N had a number of bestseller trade paperbacks on a two for one sale. The Fiction & Literature section isn’t where I naturally gravitate to, but I figured this was a good opportunity to pick up something that wasn’t my usual read. 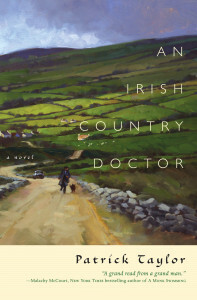 Irish Country Doctor caught my attention. I’ve been a sucker for Ireland ever since my visit five and a half years ago. Films like Darby O’Gill and the Little People and The Quiet Man exposed me to what rural life in Ireland used to be (minus the leprechauns, of course). 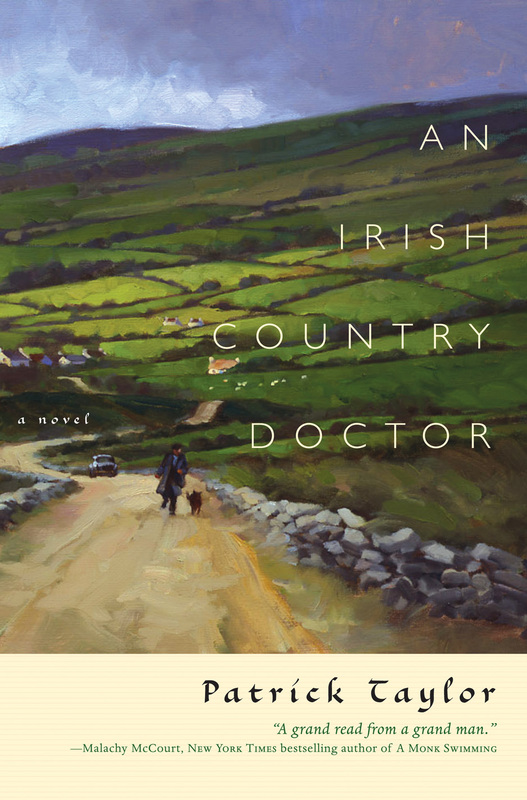 This being a book about rural Northern Ireland and how a newly graduated doctor finds his footing in a small twon, I thought it would be a fun read. I did really enjoy the book. I took a long time to read it, but I think it was because each chapter was so full of characters and fun new situations that a page or two was satisfying. It was kind of like reading a series of interconnecting flash fiction stories. For as long as I spent reading this book, it still moved along at a brisk pace. Many of the other reviews complain that the characters are shallow and stereotypical, but I don’t think so. I think Taylor captured the quirky characters he found in Northern Ireland. In the foreword he says that he was writing it to help preserve a dying way of life. I think that goal accounts for much of the book’s nostalgia. The quirky characters and nostalgic remembrance of Ireland are exactly what I expected out of the book, so maybe I had different expectations than the other readers. I’d recommend this book to anyone who likes a good fluffy read. It’s a very straight-forward story, with no real surprises, but appropriately captures the hardships of what it must be like to leave medical school and head out into the middle of nowhere to work under an eccentric doctor with eccentric clientele. It also made me want to go back to Ireland. If a book can make me long for the place described in its places, I say it’s done its job.